These bedtime companions are often compared to or mistaken for the orthopedic body pillows that are more common in the Western world, but there are not the same. Learn all about dakimakura here! A dakimakura (抱き枕) is a long pillow with a printed design originating from Japan. The name literally translates to “hug pillow”: daki (抱き) means “to embrace” and makura (枕) means “pillow”. How Are Dakimakura Different from Body Pillows? While dakimakura and body pillow can look very similar in shape and size, the typical reason for use is different. Put simply, it’s a case of physical support vs. emotional support. 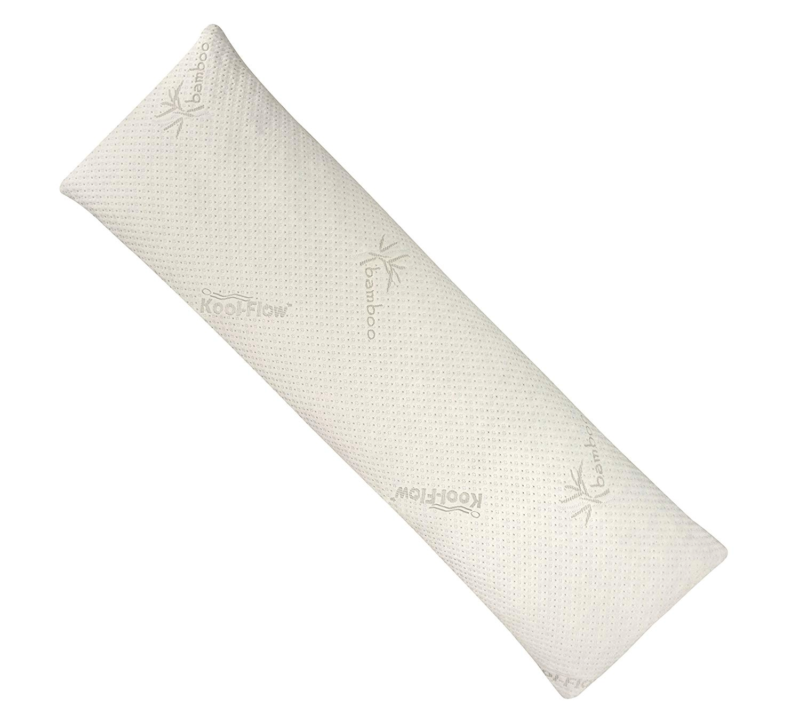 Orthopedic pillows are used for physical support, to correct the position of your body as you sleep. They allow you to avoid a variety of disorders and discomforts: blood circulation problems, muscle pain, snoring, and more. Healthcare professionals may suggest using them, or they may be bought on a whim or out of curiosity. The dakimakura in Japan have a long tradition of providing emotional support. They are thought of as comfort objects—not that different from a security blanket or a favorite stuffed toy. The name is meant to be descriptive of how it’s used. Unlike body pillows, which can come in a variety of dimensions and shapes, dakimakura have strict measurements. Traditional dakimakura are about 20 inches (50 cm) in width, and around 59 to 63 inches (either 150 cm or 160 cm) in length. The circumference should be a little over 39 inches (100 cm). Standard sizing for dakimakura is important. This isn’t just for the sake of accuracy, but because of the pillow’s well-known connection to the anime and manga community. It might sound like a stretch, but it’s true. Why Are Dakimakura Popular Among Anime and Manga Fans? Dakimakura are very much associated with Japanese otaku culture, which in turn is a phrase often used in relation to anime and manga. A short explanation: The Japanese word otaku (おたく/オタク) loosely translates to “nerd”. It is actually a term for people that take their interests to the brink of obsession, usually to the detriment of their social standing. What Is the History of the Dakimakura? The intertwining of dakimakura and otaku culture began in the 1990s. During this decade, Dakimakura pillowcases started featuring prints of fictional personas. We’re talking large designs, here—almost life-sized! Dakimakura became a way for anime and manga fans to get up close and personal with their favorite characters, in a very physical sense. 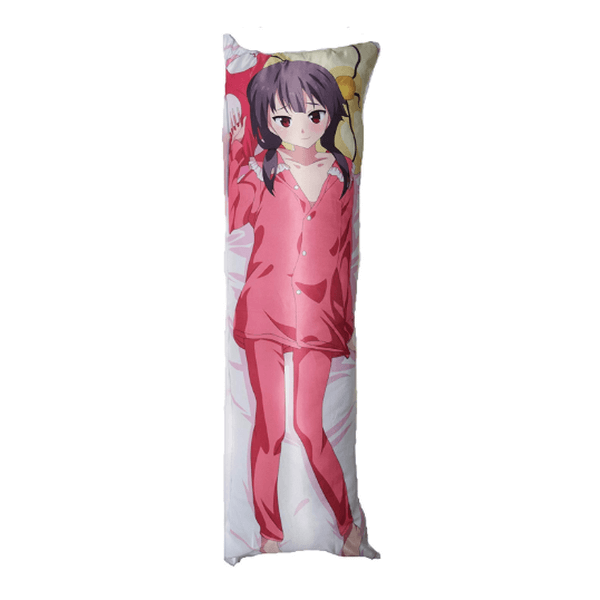 E-commerce availability catapulted the dakimakura onto the fringes of the mainstream culture. 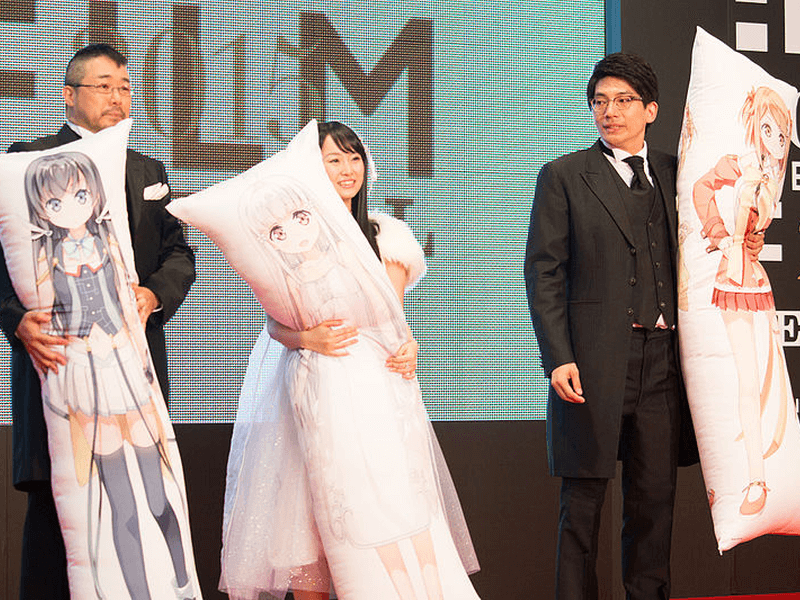 2015 saw the latest dakimakura innovation in the form of battery-powered “talking” pillows. Today, the dakimakura enjoys a dubious and double-edged popularity worldwide. Why do we say double-edged? Dakimakura are sometimes synonymous in Japan to “love pillows”. When it comes to life-sized prints of fictional characters on large pillows, one can only imagine what that means. 150 cm or 160 cm: Why Are There Two Different Dakimakura Lengths? International shipping costs are to blame! Traditional dakimakura are 160 cm long and a little over 2 kg. In the early days of e-commerce, a pillow this size and weight would have cost at least twice as much to ship internationally as one just a little lighter. Thus, the 150 cm long and 1.9 kg dakimakura was created for budget-conscious anime and manga fans outside of Japan. The compromise survives as a standard size to this day. Many designs are offered in and made to be aesthetically pleasing for both 150 cm and 160 cm variants. That said, standard sizing is a key element for the dakimakura. Here’s why: For anime and manga otaku, obsession is often expressed through collection. Should you start collecting, it would make sense financially to stick to either the 150 cm or the 160 cm length standard. How so? In theory, fanatics can buy a new dakimakura for every design they like. However, space or cost will eventually become an issue. The practical thing to do is to collect dakimakura pillowcases in a single size, to be used on one pillow. What Does a Dakimakura Look Like? These days, the printed characters are still predominantly from anime and manga, but can also be from video games and even photos of real people. There are also consistent variations in the designs features. Note that there are dakimakura designs that are adult and NSFW! Not all anime and manga are for children; in fact, most aren’t. Also worth considering that for a large number of dakimakura, the featured art may not be officially connected to the actual brand. In fact, when dakimakura were first associated with otaku culture, the usage of fan art was widespread! It still is today, with many services and artists offering ways to create custom dakimakura. The most common dakimakura prints are double features. This means that paired designs appear on both sides of the pillow. Characters are also usually drawn as if they were lying down in bed. It’s part of the gimmick, although not strictly necessary. Where Can the Dakimakura Be Purchased Online? There are two parts to a dakimakura: the pillow and the pillowcase. Thankfully, manufacturers outside Japan have now come out with pillows following dakimakura dimensions. Unless you are very particular, your dakimakura pillow doesn’t have to be from Japan to be serviceable! Below we’ve linked a few of our preferred options available online. You may be asking: “What about the pillowcases?” Our response: This is very much dependent on the taste of the person that will be using the pillow. A dakimakura pillowcase is often a personal purchase, and sometimes it’s even a custom project. It’s not unusual to have to resort to printing commissioned fan art onto a pillowcase! That said, the more popular an anime or manga character is, the easier it will be to find a ready-made pillowcase featuring them. Dakimakura have become a cultural phenomenon, and are now widely recognized around the world. Some anime and manga have begun to include dakimakura in their official merchandise. It’s a common vacation souvenir, too. Whether you think of it as an orthopedic pillow, security blanket substitute, or love pillow, the dakimakura will work. Starting a pillowcase collection for it is relatively easy, as well. As long as you already have a pillow in dakimakura dimensions, you need little else. It’s not better than a normal body pillow, but it’s a cute pillow to have if you are a fan of an anime series or if you like quirky items from faraway places. Have fun, and happy collecting!